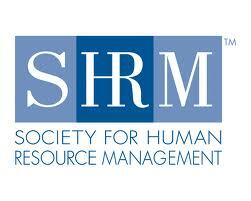 Alexandria, Va. – Aug. 2, 2012 – Though small, the hiring gains expected during August 2012 will surpass the rate from the same month last year, according to the Leading Indicators of National Employment® (LINE®) report from the Society for Human Resource Management (SHRM). The report, a survey of 500 service-sector companies and 500 manufacturing companies, shows that service-sector hiring will rise by a net of 9.4 points and manufacturing-sector hiring will increase by a net of five points when comparing August 2012 to August 2011. In the manufacturing sector, 49 percent of HR professionals said their company plans to hire workers while 8.4 percent will cut jobs, leaving a positive net of 40.6 percent. The remaining 59.4 percent are expected to hold steady with no hiring or layoffs. “A second piece of good news is that this month marks the first time since April 2011 that the year-over-year comparisons for employment expectations showed an increase in both sectors,” said Jennifer Schramm, GPHR, and manager of workplace trends and forecasting at SHRM. LINE features the only national monthly employment indices capturing HR professionals’ month-ahead hiring expectations, and past-month recruiting difficulty. The report also includes a new-hire compensation index and an index of exempt and non-exempt job vacancies. The most recent recruiting-difficulty index data—July 2012—show a net 15.9 percent of manufacturing sector respondents had more difficulty recruiting during the month. In the services sector, a net of 5.1 percent of HR professionals reported greater recruiting difficulty during July 2012. “New-hire compensation in July proved mixed—on an annual basis the net increase rose slightly in manufacturing while it fell in services, said Schramm. In August, the hiring rate will rise modestly in both sectors compared with a year ago. In July, recruiting difficulty rose slightly in both sectors compared with a year ago. In July, the rate of increase for new-hire compensation rose in manufacturing and fell in services compared with a year ago.